Hello 1960s, can I have my phone back? Do you feel weird holding the flat glass surface of a smartphone next to your face? Do you feel even weirder with earbuds in your ears and looking like you’re talking to yourself? 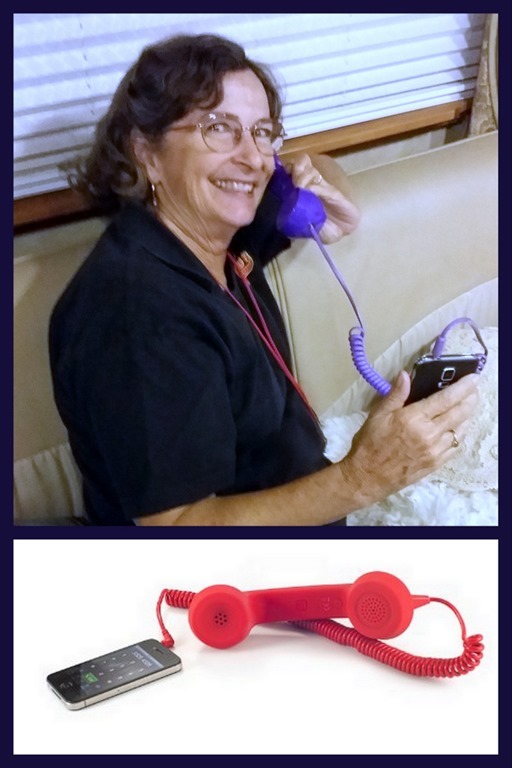 A big hit when we present our smartphone seminar is showing how you can use a smartphone, OR a tablet to make a call and feel like you’re using an old fashioned, comfortable, handset phone. You can buy these ‘retro handsets’ at most electronics stores, or online at Amazon. Plug it into the headset jack of your phone or tablet. You can adjust the volume right on the handset. You can also hangup by pushing a button on the handset. Published by MrsGeek, in Blog. Tagged with #GeeksWhoTeach, Android, Droid, iPad, iPhone, Phone Handset, Smartphones.